Ready to review all those first grade math standards that you taught this year? Batters up! Let's play ball! 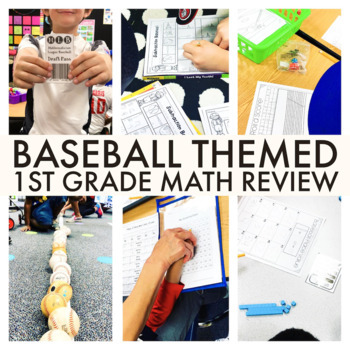 Increase engagement and excitement with this baseball themed review room transformation or review party. I completed this set with my first graders as we prepared for our end of the year assessment and it as a HIT! No seriously! 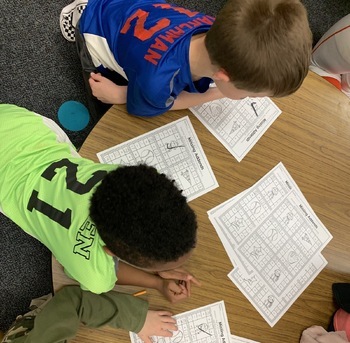 We had a blast and the students were so motivated to review their math standards. Increase the engagement! Encourage your little learners to come dressed up in their baseball and softball jerseys, hats, and use black face paint under their eyes. Also set up a concession stand with popcorn and juice boxes. 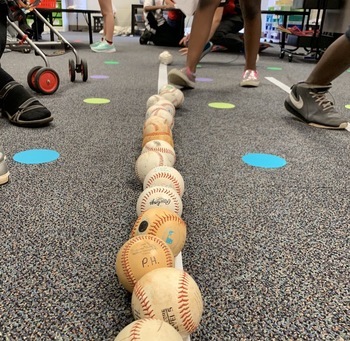 Create a "GRAND SLAM" experience for your students!